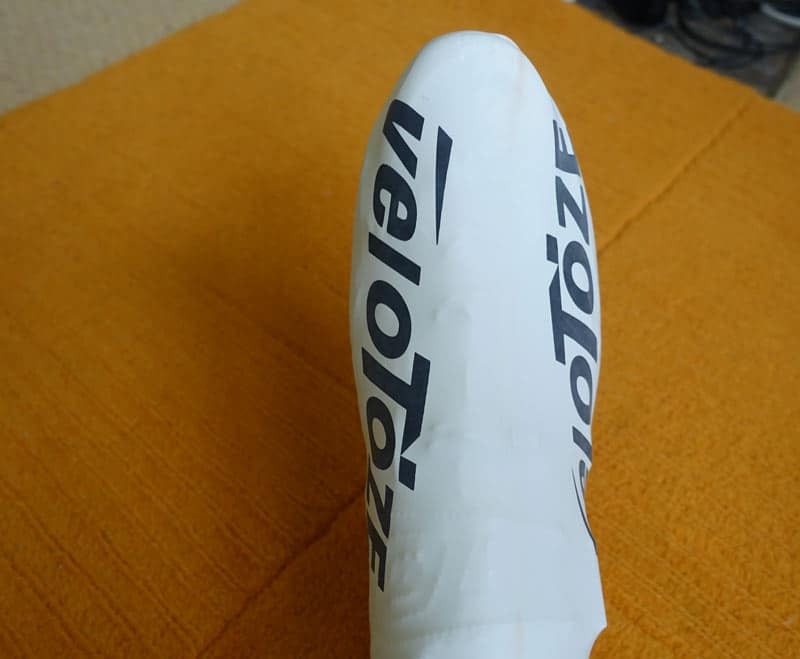 A review of Velotoze tall shoe covers – an aeroshoe cover designed to keep feet dry and aerodynamic. I have had a pair of velotoze shoe covers for a long time, but have not worn them very often. They take a little longer to put on, and have a reputation for easily tearing. So I save for ‘special occasions’ Where I really need dry feet. 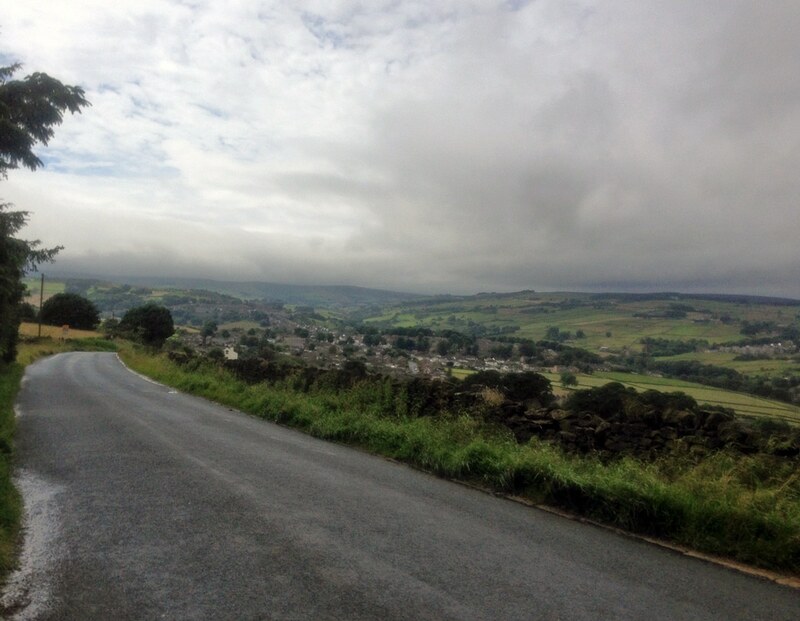 Last Friday, I was still in Yorkshire. It was one of those days where the rain was forecast to clear up at 2pm and by 5pm it would allegedly be sunny. I took a chance and headed off in the rain, hoping it would stop soon, but also fearing the worst. They are not put on like ordinary shoe covers. You put them on over your sock first. Pull them up, put on shoes, and then squeeze back over shoes. It’s a little longer, but not much. When you know how – putting them on is quite quick. They provide excellent waterproofing. It seems to be made out of the same latex as swimming caps. 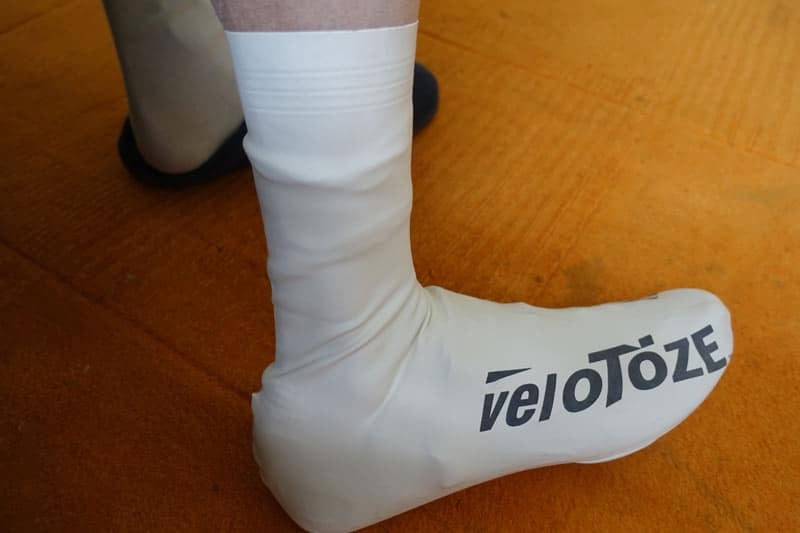 Aerodynamic aid like lycra overshoes – except a bit more waterproof and durable. They look quite aerodynamic, less wrinkles than other overshoes. So I assume it would score relatively well in aerodynamic tests. I have been buying Drag2Zero overshoes, but they only last 9 months of cycling and are quite expensive. Velotoze I imagine will last longer. They are very good at keeping feet dry. It wasn’t torrential rain, but persistently wet and drizzling with a lot of surface water. After four hours in the wet, my feet still felt pretty dry and warm. The rain never stopped all afternoon. On the downside, they don’t fit too well around the leg. The fit for the shoe is perfect, but the top section is slightly too wide for my narrow lower legs. It means there is a gap between velotoze and skin, where heavy rain can start to slip down and also it isn’t so aero at the top. The other downside is that on hot days, they may become quite sweaty and hot underneath because of the latex material is quite waterproof. Personally, I have exceptionally cold feet and so am more concerned about keeping warm. It’s a shame about the small gap between leg and higher tubing, because even with this, I think it is quite a good product. I like to always wear overshoes – to keep feet dry, warm and clean. At the end of the four hours in West Yorkshire, the Velotoze were very dirty, but they are much easier to clean than shoes. Although they may not last too long, they are substantially cheaper than most over aero-covers. £15 feels a fair price – especially when you consider there are so many aeroshoe covers with dubiously high prices. My only recommendation is don’t wear them day in day out, but save for wet conditions, when they really are needed. I will keep a pair for a time trial when it is wet and cold. I hope they bring out a fix for lower leg though. This summer has been a very wet one. Often in the past, I try to pick the best part of the day to avoid rain, but if I did that this year, I would stop riding. 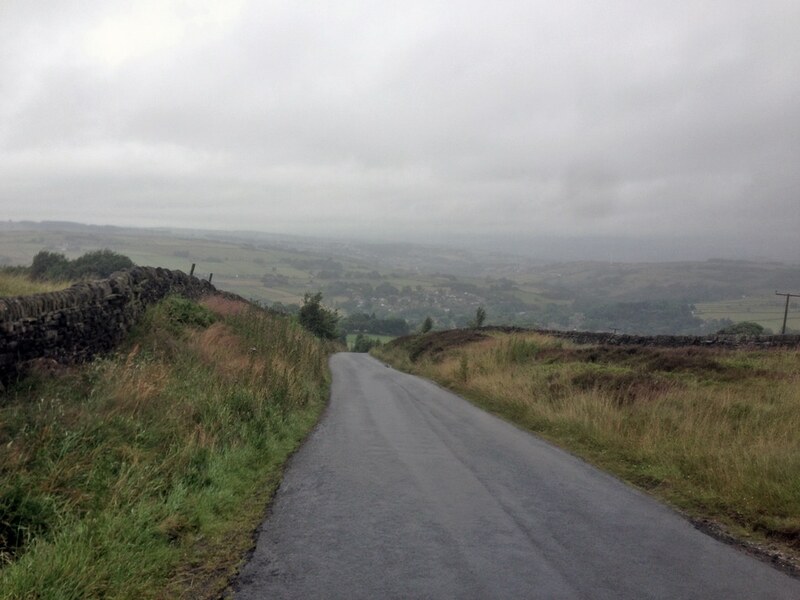 I have got used to riding in the wet this year – it is has become part of the routine. Having something like Velotoze is quite a psychological boost to riding in wet, you think at least my feet will keep drier for longer. Velotoze Tall – like pictured above. I have size 46.5 shoes, but I went for the large. I’m glad I didn’t go for extra large, because they would have been more flappy around lower leg. I might try the Velotoze short next time. I used them in the last weeks as well. I do have the gap problem only with the short ones – a pity because the short version is so much easier to put on (the normal way). And the shorter ones were (surprisingly) tested a bit more aero. I’ve had the same issue with the smaller ones, they are so much easier to put on (the tall ones aren’t exactly hard) but they don’t form the tight seal around the legs like the longer ones do. The only thing I would add is the remark about easily tearing these is correct. Im on my third pair. You need to be really careful when taking them off especially. It seems like at the end of a TT when you are tired, its all too easy to yank on them a bit too hard and rip them. Make sure you pull them back over the toe using the slightly reinforced area around the cleat opening. I must have fat legs as the mediums are fairly snug on my ankle.